ALTER BRIDGE has been a band known for blurring the line between hard rock and heavy metal. As assets in both musical genres, the band returns with their fifth studio album, The Last Hero. The album is scheduled for worldwide release on October 7th by Caroline Records in the United States/Canada and Napalm Records throughout the rest of the globe. The thirteen track opus marks a creative highpoint for the quartet comprised of Myles Kennedy on vocals/guitars, Mark Tremonti on guitars/vocals, Brian Marshall on bass and Scott Phillips on drums. The album is now available for pre-order via iTunes HERE, Amazon HERE and Google Play HERE. Fans who order the album will receive an instant download of the debut single “Show Me A Leader”. The album will be available in various fan bundles at www.Alterbridge.com/store and fans can get exclusive early access to the band’s ticket pre-sale by pre-ordering any item in the store. “Show Me A Leader” is also streaming on Spotify HERE. The Last Hero was produced by longtime friend and collaborator Michael “Elvis” Baskette and mastered by Grammy award winner Ted Jensen. 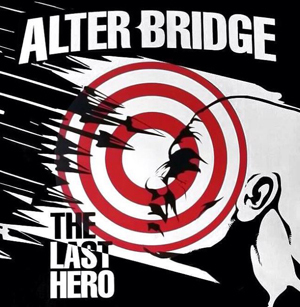 From the first notes of album opener “Show Me A Leader” to the final notes of the epic title track “The Last Hero”, it is clear that ALTER BRIDGE are back with their most complete musical work to date. While exploring musical influences and styles from throughout the band’s twelve-year history, The Last Hero has a unifying thread starting with the idea of timeless heroism. Songs like “Poison In Your Veins” and “Losing Patience” capture the signature sound that have recruited ALTER BRIDGE fans around the world. The band also explores their softer side with the heartfelt rocker “My Champion” and the emotional ballad “You Will Be Remembered”. The first single “Show Me A Leader” premiered on Sirius/XM’s Octane yesterday and a lyric video can be seen below. ALTER BRIDGE is heading out on select U.S. headline dates in support of The Last Hero this coming September. The headline run kicks off September 22nd in Destin, FL. The tour will make stops in San Antonio, TX; Minneapolis, MN; Lincoln, NE; Charlotte, NC; and Nashville, TN. The band will also perform at a few festival dates this Fall including the inaugural Houston Open Air Festival, Sonic Boom, Louder Than Life and the Tulsa State Fair. Tickets for their U.S headline dates will go on-sale July 29th and fans can get exclusive early access to the band’s ticket pre-sale by pre-ordering any item from their official U.S store (www.Alterbridge.com/store). The band is currently on tour through the end of August playing with DISTURBED, BREAKING BENJAMIN and SAINT ASONIA. ALTER BRIDGE burst onto the music scene in 2004 with the release of their gold-selling debut, One Day Remains. In 2007, the band released Blackbird, the album that elevated the band’s profile worldwide. The epic solo in the title track “Blackbird” was voted “Greatest Guitar Solo Of All Time” by Guitarist Magazine. ABIII was released in 2010 and the single “Isolation” gave the band their first #1 single. In 2013, the band reached an elevated creative and critical plateau with Fortress. It bowed at #12 on the Billboard Top 200, moving over 30,000 copies first-week and earning unanimous tastemaker praise. The record garnered perfect scores from Total Guitar and KERRANG! as well as acclaim from Billboard, The Guardian, Loudwire, Ultimate Guitar, and many more. In between sold out tours in Europe and North America, the guys appeared on VH1 and graced the cover of Classic Rock Magazine who labeled FortressEddie Trunk called it, “A top 10 album of the last 10 years.” ALTER BRIDGE has appeared on The Tonight Show and Jimmy Kimmel Live! and their music has been used by the WWE, Major League Baseball and NASCAR to name a few.